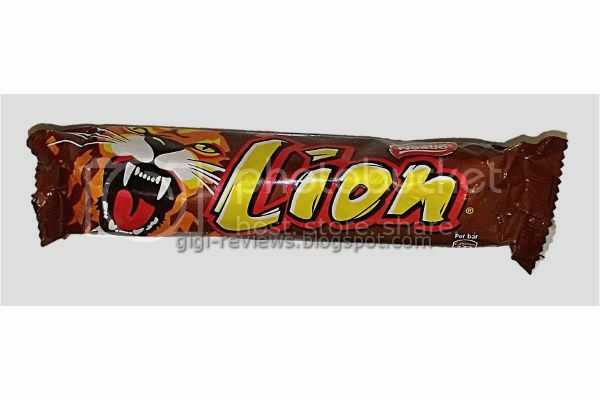 And now Brit week comes in with a roar, courtesy of Nestlé's Lion bar -- and the scary looking, fang baring lion on the package. I should note this is also the same look George gets when you try to take his catnip away. Feeling the bar through the packaging before opening it, you notice all the lumps and bumps, waiting beneath the wrapper to pounce on you as if you were a lazy Zebra. The bar is a thick, rocky slab. It has a wafer center (sort of like a big Kit Kat) with a creme filling. 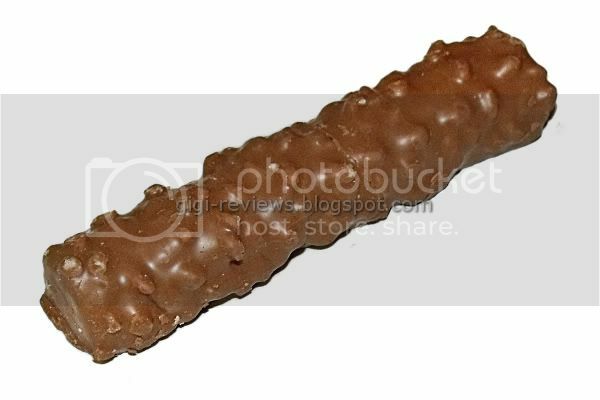 Then the bar is enrobed in caramel, and on top of the caramel is a layer of milk chocolate with puffed rice embedded into it. It looks more like something home made than mass produced. It's lumpy, it's kinda ugly, but I liked that it had sort of a rustic look to it. The smell of the bar is mostly that of the milky Nestlé chocolate. (Why is it that the chocolate Nestlé pawns off on the U.S. is so different from what the rest of the world gets?) This smells like it has a lot of dairy in it. The enrobing is thick, but at the same time the chocolate melts quickly on your fingers (or maybe I am just that hot...). This bar has an amazing texture! It's as if a Kit Kat Extra Crispy bar (that giant Kit Kat that looks more like a regular candy bar) mated with a 100 Grand Bar. The Lion is thick enough that you really feel like you're sinking your teeth into it. There's crunch from the wafers. 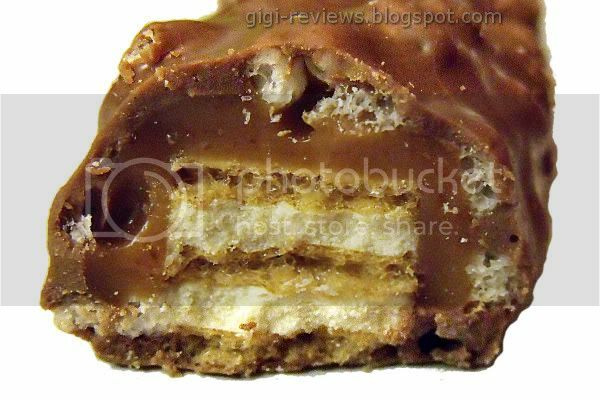 The caramel is chewy and has a very buttery, sweet taste. The bits of puffed rice are malty, and have a more cereal-like texture than the wafers. The chocolate is sweet, but it's less sweet than Cadbury and the milk flavor tastes more like the real thing than powdered. It's all those different and contrasting tastes and textures playing at once that make this bar so good. Why oh why do we not have this bar here?! WHY?! Labels: Candy, Caramel, Chocolate, Imported, Imported Candy, Milk Chocolate, Nestles, Rice, U.K. I love the Lion bar. I am glad you enjoyed it just as much Gi! Brit week has been awesome so far! !